Real Madrid are up and running in their La Liga campaign with a 3-0 win against Deportivo La Coruna, as Zinedine Zidane’s side came out with an easy victory on Sunday away from home. Los Blancos took the lead in 20th minute with Gareth Bale, only to double it seven minutes later with Casemiro. Toni Kroos joined the party in the second half, as the German sniper thumped in the 3rd goal for Real from the edge of the box. The only shadow in Real Madrid’s performance was a red card for captain Sergio Ramos. However, it’s not just the red card of Ramos that has got the buzz. 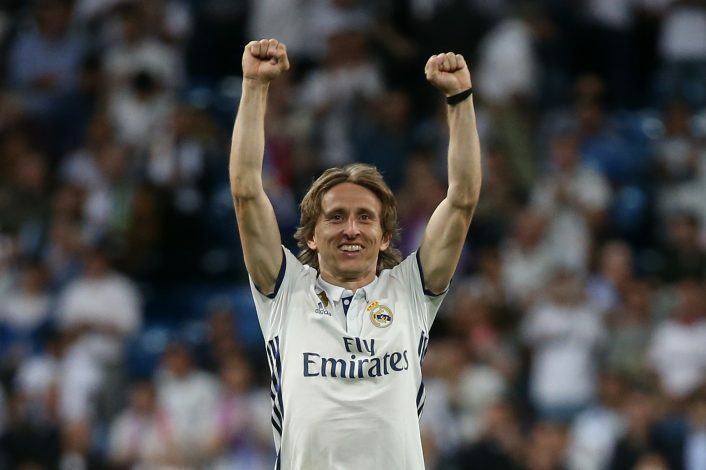 He gets red cards for fun, but this time, the defender was also spotted getting very angry at team-mate Luka Modric. It seemed that the Real Madrid captain was angry with the Croatian for kicking the ball out of play when a Deportivo player got injured. Ramos did not want the ball to be kicked out, as he wanted his team to continue playing despite an injury to the opponent. He passed the ball to the Croatian midfielder, who, to the anger of Ramos, kicked the ball out of play. The Spaniard wanted his team to seek revenge for Deportivo continuing the play when Carvajal got injured at one instance. Meanwhile, Ramos is out for one match with suspension, and Real Madrid will have to face the opposition without their captain in next match. Sergio has been very consistent with red cards in his career for Real Madrid. His sending off against Deportivo was his 23rd since he started playing for Los Blancos. Sergio Ramos is a great leader, and he’s good at it, but sometimes he gets it too much which leads to this kind of situation, the player is injured, although they didn’t clear the ball for Carvajal, he should have shown Real Madrid class as Modric did.